Sometimes our Florida foreclosure defense clients wait too long to challenge a foreclosure. This is the primary reason why we attorneys always post advice and blog incessantly about not letting a mortgage company get a default judgment or challenging a default if one occurs. However, a client can also wait too long on the back end to challenge a final judgment. In Branch Bank & Trust Co. v. Michael’s Enterprises of Virginia, Inc., 519 B.F. 916 (Bankr. E.D. Va. 2014), a homeowner waited until a week after the sale and sought a temporary injunction which was denied. The sale proceeded and several months later the debtor refused to vacate the property and filed bankruptcy. In the bankruptcy, the debtor attempted to collaterally attack the judgment already entered. Claims cannot be re-litigated, they can only be appealed. The Court awarded sanctions against the debtor, its shareholder and its legal counsel for $10,000. The debtor in this case attempted to argue that the foreclosure sale was a fraudulent transfer because it was for less than 70% of the market value. This argument failed to impress the U.S. Supreme Court in BFP v. Resolution Trust Corp., 511 U.S. 531 (1994) which was followed by the bankruptcy court. So there are limits to when bankruptcy can stop a foreclosure sale. One is when the automatic stay does not apply for some reason such as a prior bankruptcy in a short period of time. Another is when a debtor waits until after judgment is entered and after the sale occurs. 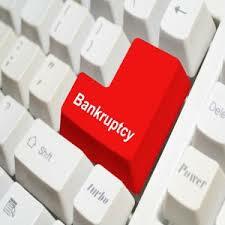 There are considerations to be made whether to file bankruptcy before a trial, or before a sale. Please consult with knowledgeable bankruptcy and foreclosure defense counsel about all options. 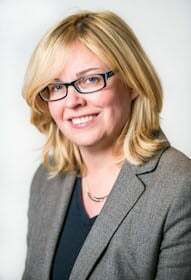 See Christie D. Arkovich, P.A. for further information.